"Glee" star Cory Monteith was found dead at the Fairmount Pacific Rim Hotel in Vancouver. Vancouver police announced Saturday night that a 10:30 p.m. press conference would be held to confirm the death. Actor Cory Monteith, who played Finn Hudson in the Fox hit "Glee," was found dead in a Vancouver hotel room, BC police said late Saturday. Glee star Cory Monteith has been found dead in a Vancouver hotel, police say. The 31-year-old, who played Finn Hudson in the Fox hit, was found dead at the Pacific Rim Hotel in the city centre, said Vancouver police. The cause of death was not immediately apparent, police say, but foul play has been ruled out. 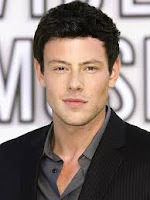 Monteith, who had been in the musical comedy since its 2009 start, was treated for drug addiction in April, and had a history of substance-abuse.